C. Crane has published a full pre-order page for their latest travel portable: the CC Skywave SSB. The price is $169.99 US–they’ve noted an expected ship date of sometime after November 3, 2017. We’ve been testing a pilot run CC Skywave SSB and recently posted photos. Once we have an production unit, we’ll post comparison videos and review notes. Click here to view the CC Skywave SSB product page at C. Crane. This entry was posted in Ham Radio, New Products, News, Radios, Shortwave Radio and tagged C.Crane CC Skywave SSB, CC Skywave SSB, CC Skywave SSB Availability, CC Skywave SSB Price, Portables, shortwave on October 6, 2017 by Thomas. 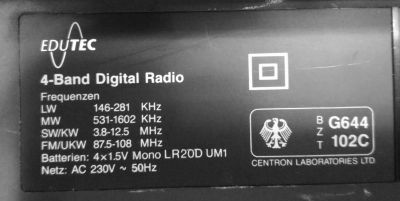 Schematic for the PLL EDUTEC 4-Band Digital Radio Weltempfänger? I would like to ask you if you can help me with a schematic diagram for an EDUTEC 4-Band digital radio (PLL EDUTEC 4-Band Digital Radio Weltempfänger). It is not broken, but I would like to modify it. Of course, I could spend some time and manually extract the schematic, but I would lose too much time. While I know that “EDUTEC” is a registred trade mark for technical (“non-food”) products that was sold by “Eduscho Handelsgesellschaft” in Bremen and also I found that it is now owned by Tchibo, well – I would like to kindly ask you for help in this matter? (course, if you can). It is an old product, probably made in the 90’s and until now, I didn’t find anything on the net about it. I opened it and I found that its core is TA8132AN, and the FM section is made around TA7358AP. The audio stage is built with C1212C, and there is one more integrated circuit there, TA8148S (no datasheet on the net, but I found that is a DC-DC converter for electric tuning – built-in stabilized supply output for biasing VHF tuner variable capacitor / sine wave oscillation). The PLL chip is soldered with the unmarked side, so I don’t know what type it is. Unfortunately, there is no other model or name written on the radio. In the hope of an answer from you, please allow me to thank you and to congratulate you for the very nice site that you maintain there! Many thanks, Cezar! It’s readers like you who make this site such a great one! Post Readers: I hope someone may be able to help Cezar. 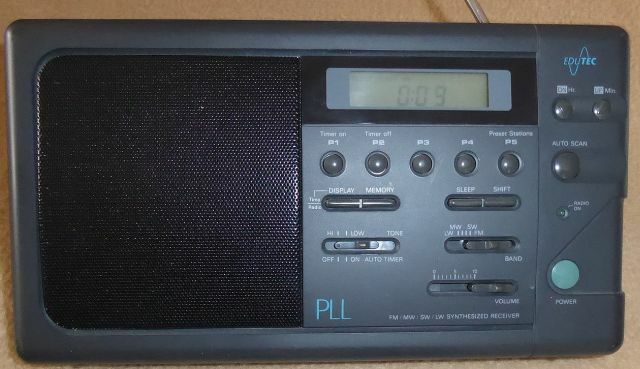 This radio looks familiar–perhaps I’ve seen it badged with a different company name? Please comment if you can help Cezar locate a schematic. This entry was posted in News, Radio Modifications, Radios, Shortwave Radio and tagged C1212C, Cezar Vener, Edutech, PLL EDUTEC 4-Band Digital Radio Weltempfänger, Portables, Schematic, shortwave, SONY CFS-W504L, TA7358AP, TA8132AN on July 22, 2017 by Thomas. 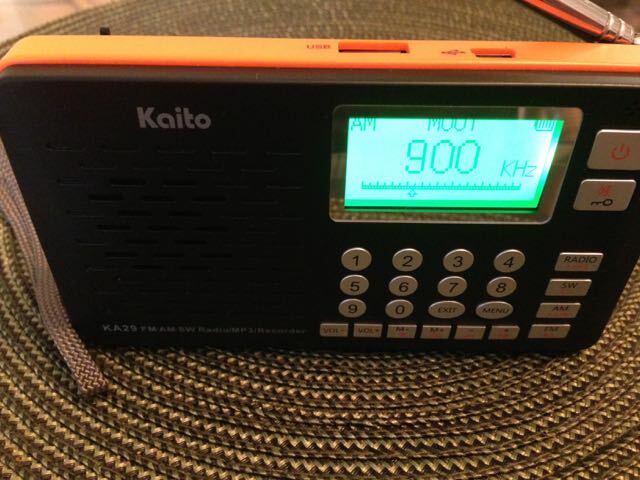 While doing a somewhat random search on Amazon a few weeks ago, I stumbled upon a radio with a model number that I didn’t recognize–the Kaito KA29. The form factor of the KA29 is very reminiscent of the Degen DE1129 I reviewed two years ago, but it’s smaller and sports a number pad on the front. On a whim, and with possible use of this radio in my charitable work at ETOW, I purchased one. At ETOW we have used similar radios with 16-32 GB Micro SD cards, chock-full of educational audio content. At $35, the KA29 is an affordable MP3 player and radio. On a side note, I suppose I should mention that I was pretty disappointed with the DE1129 because I had hopes it would make for a great all-in-one portable radio recorder for ETOW. While the DE1129 could record FM/AM and SW radio directly, it had serious problems: it auto-adjusted the volume level during recording (one could not turn off the internal speaker), it degraded audio quality in recording, and medium wave was plagued with a “ticking” sound every 10 seconds. It produced digital hash on various meter bands. My summary of the DE1129: fine concept, poor engineering. Read my full review of the first version of the DE1129 here. The Kaito KA29 is a cute little portable. Mine has a black body with orange band encircling the diameter. That orange band is actually a nice addition–it helps the radio show up a bit better and makes the ports a little easier to see when lighting is low. The overall quality of the radio feels fine: the hard plastic body has a smooth matte quality and the buttons have a very tactile response. The telescopic whip antenna is long for the overall radio size, but is still a little on the short side for good HF gain. Oddly, unlike most radios, the antenna cannot swivel at its point of attachment to the chassis; it can only be extended and tipped side-to-side–but not front to back, or back to front. Like the DE1129, the KA29 lacks a back stand–a big negative in my book–but admittedly a back stand would be of little use while SWLing with this rig because the antenna can’t be swiveled or tipped into a useful vertical position. Hm. 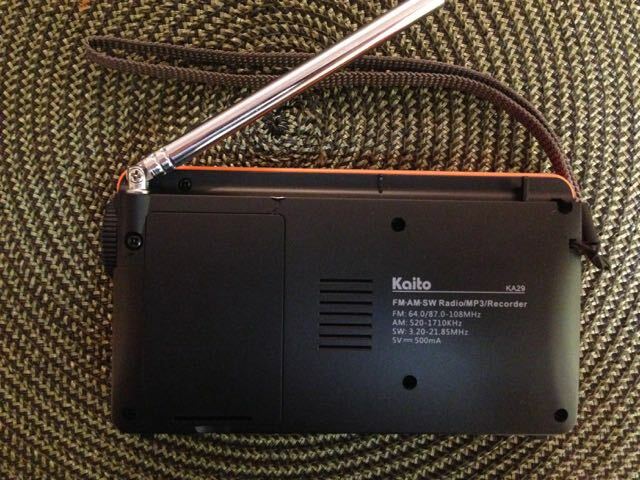 Also like the DE1129, the KA29 uses a slim rechargeable battery pack. When I first turned on the KA29, I thought I had received a faulty unit: I pressed and held the power button for a second, the display lit up a bright green, I released the power button…and the unit turned off. After a little trouble-shooting, I realized that the KA29 requires holding the power button a full two seconds, until the “Kaito” brand name appears on the display. Unfortunately, the KA29 antenna does not swivel. This sluggish power-up response is truly an indicator of most functions on the KA29. It’s as if every function is controlled by a slow processor–which I’ve no doubt is the case. As far as I can tell, all the menu functions are the same on the Degen DE1129; obviously, they’re built on the same firmware. 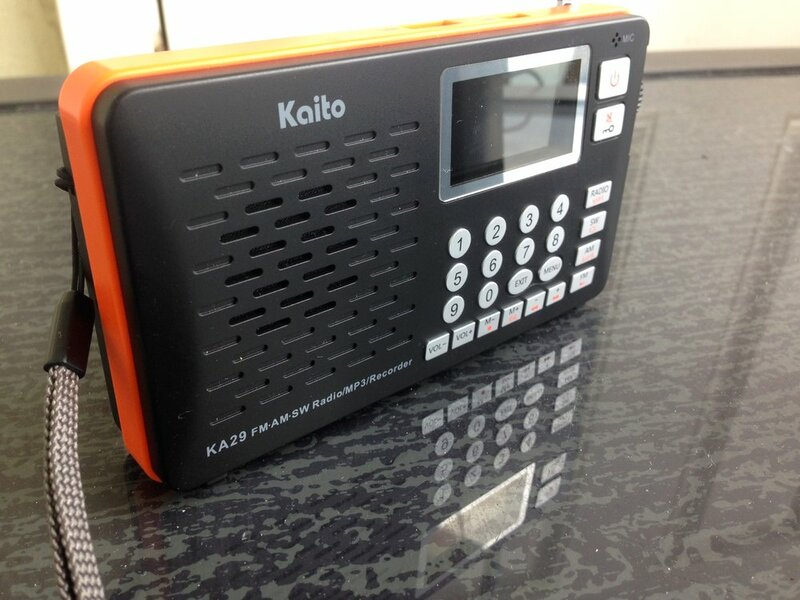 Indeed, Kaito is the North American brand for the Chinese manufacturer, Degen; the Degen model number for this radio is DE29. In this sense, most functions are familiar to me. The one added feature of the KA29 that my version of the DE1129 didn’t have is a number pad, useful for direct entry of radio frequencies. I should note here that I (typically) toss the owner’s manual aside when I first get a radio, in order to test how intuitive its functions are. I spent quality time with the KA29 while traveling a few weeks ago, and as I didn’t bring the manual, I had to learn its functions via trial and error. It wasn’t until I returned that I learned how to use direct frequency entry; the is answer clearly stated in the manual: just key in the frequency, then press the appropriate band (AM/FM/SW) to go to that frequency. Pretty simple, actually. The response time for the radio to start playing the frequency you enter is only about one second. Use of the tuning knob (located on the right side of the radio) is easy and straightforward–tuning up and down will move the needle 5 kHz steps between frequencies. Unfortunately, as on the DE1129, 5 kHz is the smallest tuning step available. The KA29 briefly mutes between frequency changes, so when tuning slowly it’s very noticeable. If you tune quickly, the KA29 will produce snippets of audio as you pass signals, but I find it often skips over even very strong signals. In short? Though I suppose it could be worse, I do not like tuning the KA29. I should also mention that the KA29 has no adjustable bandwidth; I’m guessing the AM bandwidth is stuck at around 6 or 7 kHz. 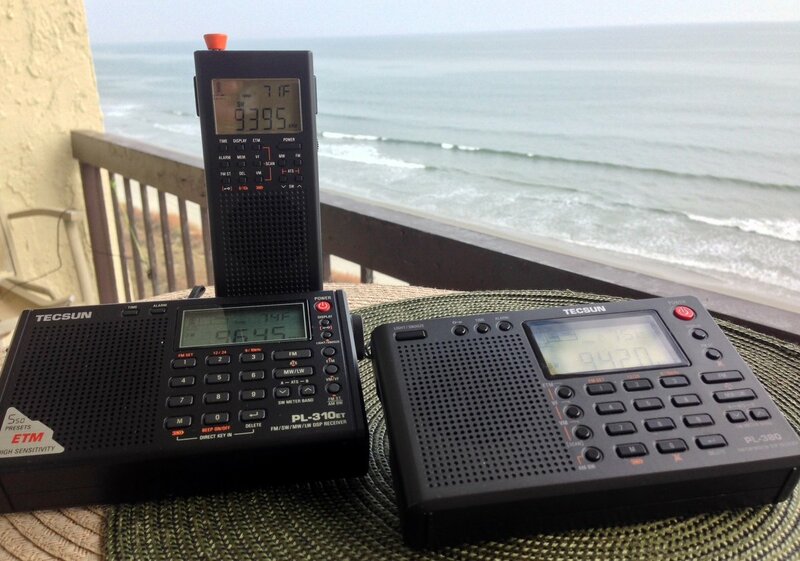 While I no longer have the DE1129 in hand for side-by-side comparison, my impression is that performance between the two radios is very similar. Herein lies the strength of the KA29. It obviously uses the same speaker technology (with an acoustic chamber) that the DE1129 uses. You will be favorably impressed with the audio from this wee radio–it is quite robust for a pocket radio of this size, and in a small room, almost room-filling. It sounds fantastic on FM and AM alike–you can even hear a hint of bass. One day, I tuned the KA29 to a local AM station and listened quite comfortably in another room. Impressive. But what about receiver performance? FM performance is quite good. I’ve used the KA29 in two different cities, and found that it could detect most of the same FM stations my other portables picked up. I was pleasantly surprised to note the absence of the annoying ticking sound I heard in the DE1129; it appears Degen engineers have succeeded in eliminating this distraction. In general, I believe the KA29 performs acceptably on medium wave for basic local and nighttime clear channel broadcast listening. The AGC circuit is not ideal, though, for any sort of medium wave DXing; don’t consider the KA29 for MW DX. If the KA29 is better than the DE1129 on the shortwave bands, the improvement is negligible. You’ll be fairly happy with the KA29 while listening to strong shortwave broadcasts. During my review, I listened to the new Global 24 a few hours on 9,395 kHz–an easy catch on the east coast of North America–and the KA29 was fairly stable, producing rich audio. While listening to weak stations, you’ll discover the KA29 to be somewhat sensitive, but again, the AGC circuit is just too active to listen comfortably for very long. The noise floor is more obvious while listening to weak signals: I believe much of the noise is coming from the internal electronics of the KA29. It produces an audible digital hash sound that makes weak-signal listening a bit of a chore. For comparison, listen to the other radios I recorded at the same time for the ultra portable shoot-out. Fortunately, several of the recording problems I noted with the DE1129 are no longer an issue with the KA29. The DE1129, when recording radio, had the exceedingly annoying habit of automatically setting the internal speaker’s volume to a high level. While recording, this could not be changed. Fortunately, this problem has mostly been addressed in the KA29, which does not increase the volume while making a recording, but still fixes the volume at the level set at the recording’s start. I didn’t find this to be much of a problem. The recording performance is better than that of the DE1129, which produced noisy, muffled recordings. 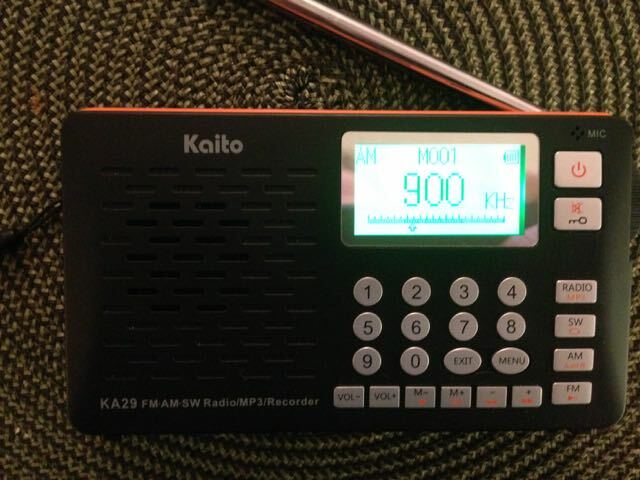 The KA29 will produce fair audio recordings on AM, on FM, and on shortwave. One drawback: you will note a low-volume, high-pitched static noise–a hiss, to be specific–inherent in every radio recording, regardless of band. While it’s not too offensive, nor enough to deter me from making direct radio recordings (at least of strong stations), there is still much room for improvement. Obviously, I can use the headphone jack and an external digital recorder to make better radio recordings. But the convenience of an all-in-one recording device plus radio outweighs the slight hiss in the internal recordings it produces. All in all? I’m reasonably pleased with the radio recording capabilities of the KA29, and the improvements it’s made over its predecessor. If the Degen engineers could lower the KA29’s noise floor and fix the imaging problems, and add 1 kHz tuning increments, this could be a good value all-in-one radio, a real contender. 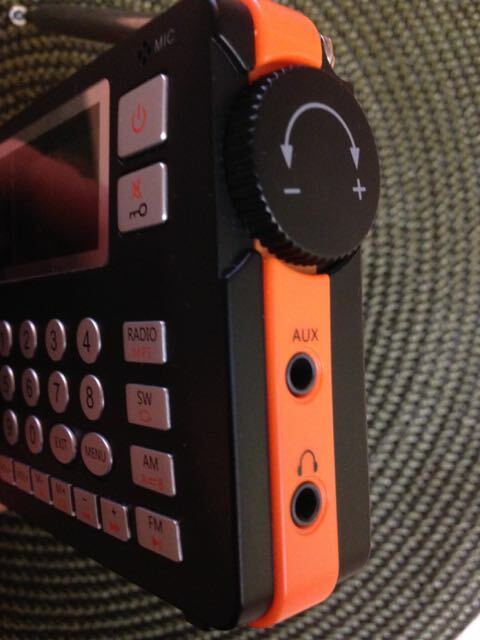 If you’re looking for a pocket radio to make local radio recordings on-the-go, and the quality of your recordings is not a major concern, you might give the KA29 a try; chances are you’ll be fairly pleased with the affordable KA29. If you’re a shortwave radio hobbyist or DXer of any stripe, however, don’t waste your time or money on the DE1129. Instead, pitch in $10 more and buy a Tecsun PL-310ET–it has no MP3 recording or playback, but it will receive circles around the KA29. This entry was posted in Uncategorized and tagged DE29, Degen, Degen DE29, Digital Recording Radios, KA29, Kaito, Kaito KA29, MP3, Portables, Radio Reviews, Reviews, Shortwave Radio Reviews on November 26, 2014 by Thomas. Thanks to all who participated in our ultra-portable shoot-out! A little over a week ago, I posted recordings of shortwave broadcasts, weak and strong, in an attempt to evaluate which recording–thus which radio–our listeners prefer. I conducted this test on the three radios pictured above: the Tecsun PL-310ET, the CountyComm GP5/DSP (Tecsun PL-360), and the Tecsun PL-380–among the most popular ultra-portables currently on the market. This test was “blind” in the sense that all three radios evaluated were merely labeled “Radio 1,” “Radio 2,” and “Radio 3,” respectively. Interestingly, the GP5/DSP consistently came in last in every category. I think a few factors outside of receiver performance led to this. For some reason, the recorded audio of the GP5/DSP sounds out-of-phase. Several of you noted this. The resulting sound almost mimics a “stereo” effect. No matter how many times I made recordings on the GP5/DSP, this feature predominated, and I eventually assumed it to be characteristic of this radio’s DSP. 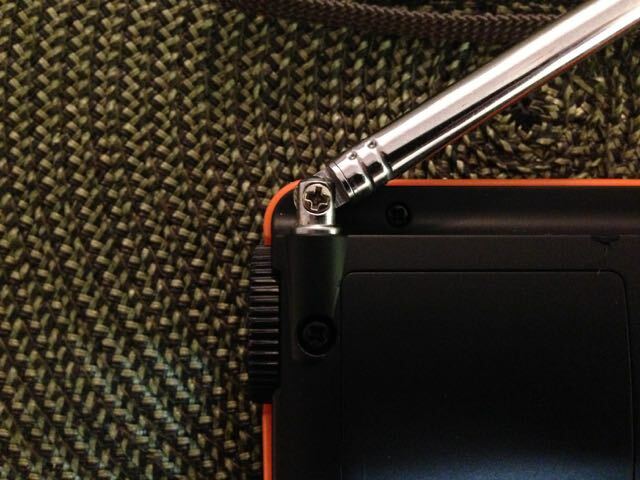 But I’m wondering now, however, if there might be oxidation on one of the headphone jack conductors, or if the headphone jack on my unit is somehow faulty–? Because of this, before conducting the medium wave shoot-out, I’ll try to clean the conductors with a little Deoxit to see if it makes a difference. Unlike the PL-310ET and PL-380, the GP5/DSP can’t change AM bandwidths. On the strong recordings, I widened the bandwidths of the PL-310ET and PL-380 to 6 kHz; this improved their audio fidelity. On weak signals, I narrowed the bandwidth to 3 or 4 kHz, keeping both at the same level as I did so. 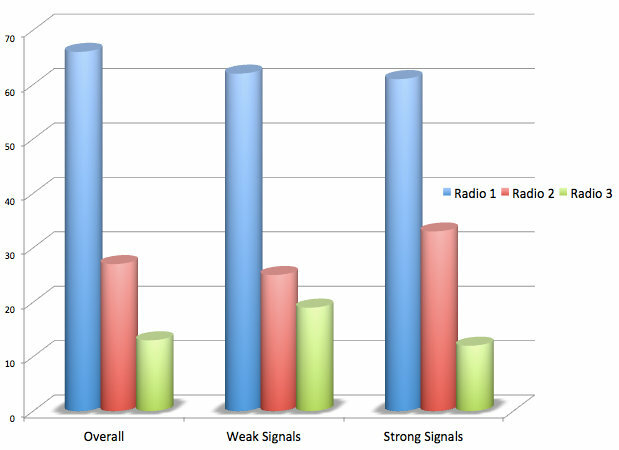 While the GP5/DSP’s fixed bandwidth is well chosen, it simply couldn’t compete with the wider filters of the other two radios on strong signals. Also notable: the GP5 has one very distinct advantage over the other two radios, something that wouldn’t have been noticed in this test: its ETM function, which scans the whole band then automatically stores stations to temporary memory, is almost two times faster that that of the other radios. It also seemed to be equally accurate. 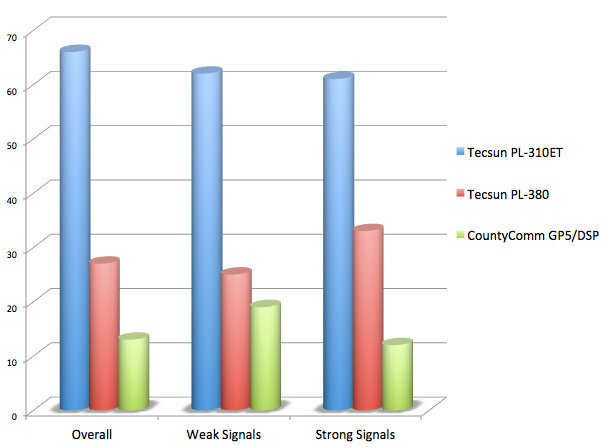 So, who would buy the CountyComm GP5/DSP (Tecsun PL-360)? Someone who likes this radio’s form factor, it’s stable AGC, and quick ETM scanning. Keep in mind, we are comparing this model with two of the best radios under $60, in my opinion. Had we compared the GP5 with most other sub-$60 radios, it might have won that shoot-out, and with ease. The Tecsun PL-380 came in a very consistent second place in this shoot-out. The ‘380 is one of my favorite portables on the market; for many years, it has been my go-to radio for one-bag travel. Before recording the shoot-out, I guessed that the PL-380 might take first place. But up to this point, I had never actually compared it with either of the two other radios in this shoot-out. Listening to the blind samples, I tend agree with the results. 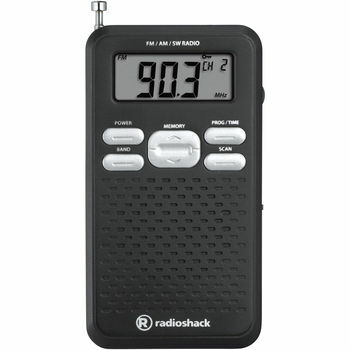 Still, the PL-380 is a great value and a fun little radio, one I can still easily recommend for travel. Click here to search for the Tecsun PL-380 on Amazon.com, click here for eBay and click here for Universal Radio. While comparatively few participants’ comments were specific to the PL-310ET (“Radio 1”), it’s interesting that these most often made note of this radio’s very close resemblance to the PL-380 (“Radio 2”). The PL-310ET had only a slight advantage over the PL-380 to my ear, but it was enough; so along with most survey respondents, I took note of that advantage. Now, I know this much: when people ask me whether they should purchase the PL-380 or PL-310ET, I think I’ll suggest the PL-310ET. In the end, it makes for a better travel radio because it also has an external antenna jack, one of the few sub-$60 radios that has this useful feature. In summary, the Tecsun PL-310ET is truly a fantastic ultra-portable radio, and, at $48 – 52 US, it’s a real bargain, to boot. Click here to search for the Tecsun PL-310ET on Amazon.com, click here for eBay. Coming soon…our medium wave shoot-out! When I find the time in the next month or so, I plan to test the same radios in a medium wave (AM) shoot-out. Weak-signal medium wave will put AGC circuits and internal ferrite antennas center stage. Please be patient, however, as these tests actually take time to put together and evaluate. Again, your participation will be most welcome! This entry was posted in News, Portable Radio, Radios, Retailers, Shortwave Radio, Shortwave Radio Reviews, Travel and tagged CountyComm, CountyComm GP-5DSP, PL-310ET, PL-380, Portables, Shortwave Radio, Shortwave Radio Reviews, Shortwave Radio Shoot out, Tecsun, Tecsun PL-310ET, Tecsun PL-380, Ultra Portable Radio Shoot Out, Ultra Portable Shoot Out on November 24, 2014 by Thomas.